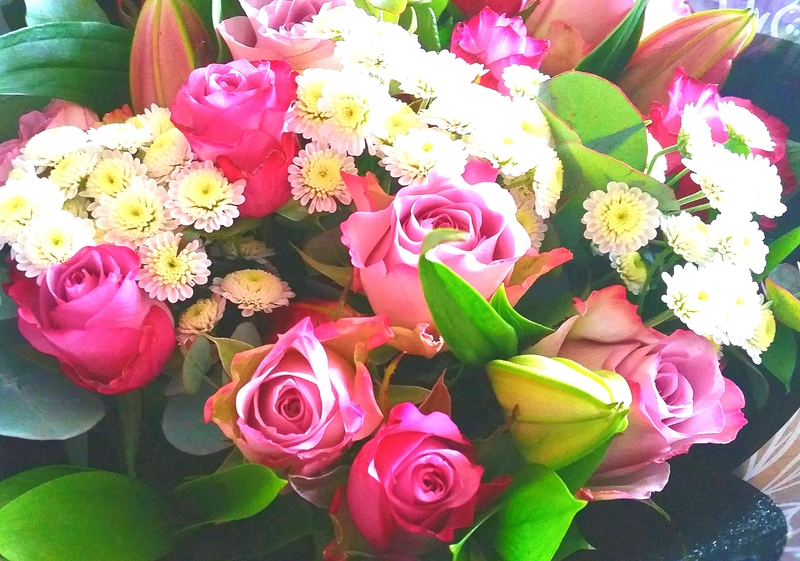 This stunning bouquet would make any mum smile this Mothers day. The gifts available are all of a high quality. The teddy bears are super soft and cuddly. The British crafted chocolates are absolutely divine too, any mum would be happy to receive a lovely surprise like this. 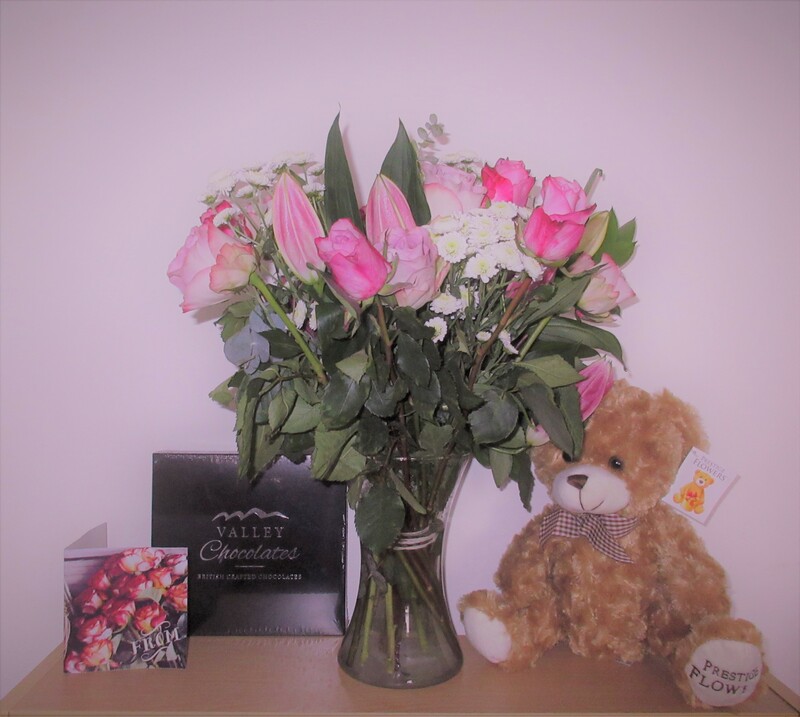 Last year we reviewed a bouquet from Prestige Flowers Luxury flowers range and received the British handcrafted truffles too which are also amazing. Ordering flowers and gifts from Prestige Flowers is simple. Select your preferred bouquet and choose from a Standard, Medium (+£5) or Large (+£10) bouquet. Most bouquets come with a free gift such as flower care, truffles or a vase. You can then choose from a range of gifts to add to your order too. Next, you can add your message to the recipient for the message card with up to 200 characters. Orders placed before 9 pm can be delivered next day or on a day of your choice. Prestige flowers have a bouquet for every occasion, birthdays, valentines day, mothers day, new baby, congratulations and more. With everything all in one place, it makes flower and gift buying so easy. Treating mum with the perfect mothers day bouquet has never been easier. 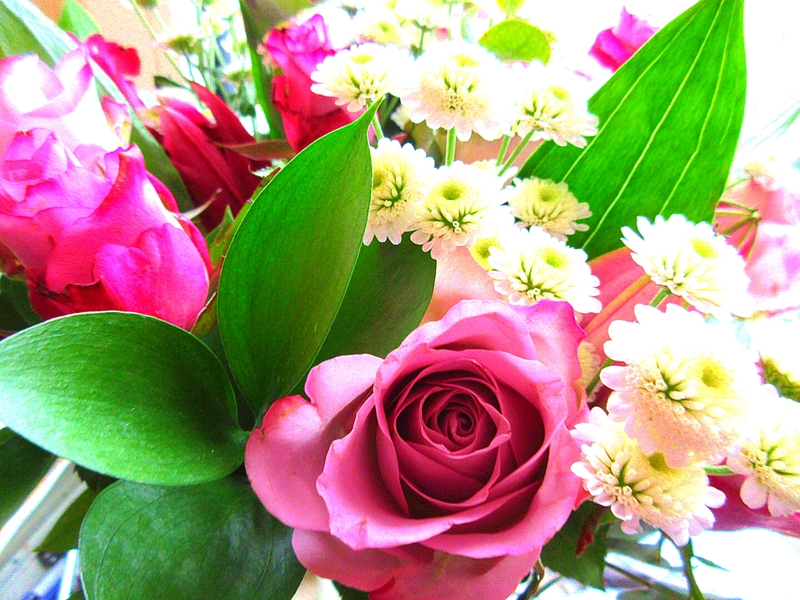 These stunning bouquets of flowers from Prestige flowers are arranged by highly qualified florists. Each order comes with flower care instructions to help you keep them looking lovely longer too. I’ve put together a handy list of Christmas gifts for her this Christmas. A mixture of products I’ve been sent to review and those I know have fantastic reviews already and would love to receive myself or know someone who would! Having written gift guides for 3 year olds, 7 year olds & even 5 Christmas Gifts Under £5, I figured one for her would be great too! These gorgeous textured slippers from Hunkemöller are a perfect gift this Christmas. Comfortable, warm, soft and fluffy inside. Delivered in this lovely little box to make you smile. These slippers are perfect for those cold winter days and nights. Hand-Crafted, Reusable Decorative Baubles each containing a luxury bloomtown beauty product inside make lovely gifts. They come pre-assembled and ready to hang on the tree. You can buy an individual bauble for £9 or a set of 3 for £25. Almost every woman I know LOVES Yankee Candles making this Christmas Advent Calendar a fantastic gift idea. Contain one tea light per day and a Votive candle for Christmas eve. I would love one of these to make the flat smell more festive throughout December. Who says Christmas Eve boxes are just for kids? With a fantastic selection of gifts in each box My Pocket Money Toys have the adults covered too! We all love chocolate and having discovered Hotel Chocolat this year after receiving a lovely gift card, their chocolates will forever be on my wish list. I love this gorgeous little hamper full of chocolate goodies. Hotel Chocolat have a wide range of hampers from £20 upwards that any chocolate lover would love to receive. What do you think of my Christmas gifts for her guide? Which gift is your favourite?